Are you the parent of a teen who may be getting bad grades, partying a lot, drinking heavily and/or doing drugs? I can tell you one thing NOT to do in this situation. Never, ever publicly shame your child. 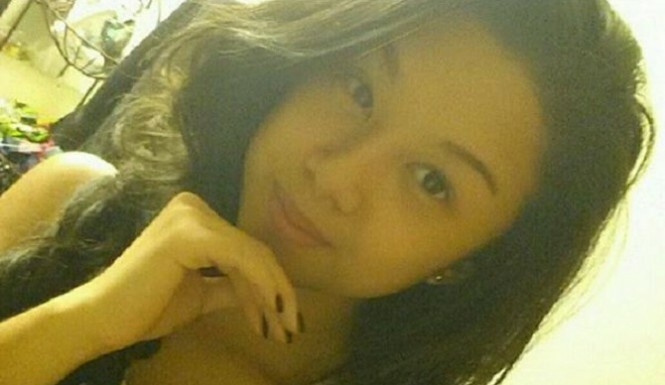 One man took a 15-second video of his daughter, Izabel Laxamana, 13, of Tacoma, Washington. The man says, “The consequences of getting messed up, man, you lost all that beautiful hair. Was it worth it?” Izabel responds quietly, "No," and then her father asks, "How many times did I warn you?" Barely audible, she responds, "A lot." Days after the video was posted, Izabel jumped off a highway overpass and died on Monday, June 1. According to the Inquisitr, the father claims he was not the one to post the video to social media. The investigating officer says the father is not guilty of child abuse but did note that the father’s choice of discipline was poor. Blogger Jack Cameron posted on his website tacomastories.com, "There are those who believe that public shaming is an acceptable form of parenting. As this incident clearly shows, it’s not. It’s a form of abuse and it has consequences." A Facebook page has been created, called Justice for Izabel. This page reminds parents, "Children's earliest and most enduring beliefs about themselves are formed at the hands of their caregivers." Izabel had previously struggled with depression, anxiety and being bullied in school, according to her Google Plus account. Many people think that what her father did was the last straw for her. After all, parents are the ones who are supposed to protect you and support you when you are bullied — not the ones doing the bullying. • The punishment should be done in private. The child should be aware of the punishment before the infraction. According to the website EmpoweringParents.com, let your children know, "The rule in our house is no chemical use. Your curfew is midnight on the weekends. If you don't follow our rules, you will have to forfeit the car keys, your phone, your XBox, etc. for 1 month." • A punishment should be taking away something the child enjoys for a period of time, not something emotionally damaging and long-term like cutting your hair or posting a picture or video. • Talk to your children about their mental health. Ask them if they are getting bullied in school. And if they are, talk to the school about this and get your child professional help. Elizabeth Osborne Fischer posted on the ‎Justice For Izabel Facebook, "There may well have been clues that Izabel was depressed or suffering from depression that could have been treated. Please educate yourself about what depression in teens can look like. Sometimes it's being 'sad,' but sometimes it's being angry or acting out in 'inappropriate' ways," she wrote. "PLEASE rule out depression or other mental illness before simply assuming that a child is 'bad' or 'should be taught a lesson.' It could very well save a life." • Most importantly, hug your kids. Remind them that, even if you may not agree with what they did, you will love them no matter what.